Do you feel hopeless about your smile? Well, then you need to learn about how you can rebuild it with state-of-the art dental implants—the sure way to get a great-looking and fully functional smile! At our St. Louis, MO, office, Drs. Jeffrey and Jodi Johnson use titanium implants to replace single teeth, support multi-tooth bridges, and even anchor complete dentures. Are you ready to feel good about your smile? A dental implant is a titanium metal screw that is placed directly into the empty socket where the natural tooth roots had previously been. The surrounding bone then bonds to the implant as the site heals. This bonding process is called osseointegration, and it is responsible for the implant's lifelike security and durability. Once the device is fully integrated into the jaw, your St. Louis, MO, dentist attaches an extension post (abutment) and customized porcelain crown. Two, four, or more implants anchor prosthetics such as bridges or dentures. Whatever the case, osseointegration practically guarantees long-term retention of these amazing devices. The Journal of Oral Implantology estimates the dental implant success rate at about 98 percent. Could you receive dental implants? 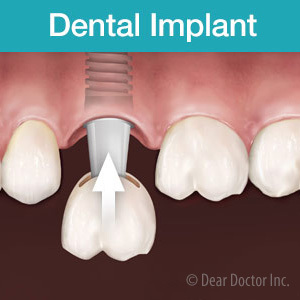 The best tooth replacement scenario is the insertion of a dental implant soon after dental extraction. This way, the underlying jaw bone does not have a chance to recede once the natural tooth is removed. 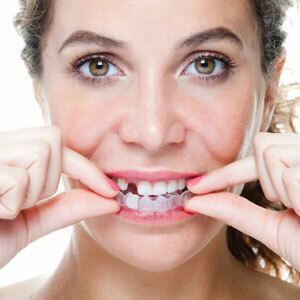 However, even people who have had smile gaps for years can receive dental implants. Dr. Johnson will evaluate you with examination and special X-rays to determine your jaw bone health, size, and density. The more bone you have, the quicker your dental implant will integrate into the jaw. Special augmentation procedures can also add bone to the areas which are deficient. Drs. Jeffrey and Jodi Johnson love to see their patients smile! 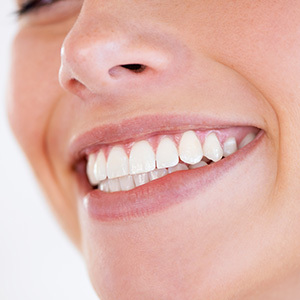 They offer dental implants as the best tooth replacement options around. Looking to rebuild your smile? Call their office for a dental implant consultation, and learn all the details. Phone (314) 427-7400 today!